An excellent, practical, and fun treehouse building guide! We built a fantastic treehouse this summer using many of the ideas from this book. My 8-yr old son and 6-yr old daughter learned so much from the simple illustrations. The book helped us decide on a tree, a design, and gave us nuts & bolts instructions as well as many practical tips. We highly recommend this book! I highly recommend this book for anyone who wants a step-by-step plan to building a basic treehouse and many fun additions on to the treehouse such as crows nests, rope ladders, pulleys, telephones,furniture and more. The instructions are very clear and easy to follow. If you want to build a more complicated treehouse(for example a treehouse with electrical outlets or more than 2 rooms) this book most likely isn't for you. For people who just want to browse pictures of amazing treehouses around the world I suggest Peter Nelson's Treehouses: The Art and Craft of Living out on A Limb. By far, the Stiles' books are the best. I'm building a treehouse right now for my son. Following guidelines in this book, I'm certain that we will enjoy it for years to come. I found myself a bit down on my luck after the dot-com bubble burst. I came across this book and bought it using my last few dollars. By following the simple directions contained therein, I managed to build a magnificent tree house in a very sturdy elm in a nice, quiet neighborhood. Unfortunately, I was evicted for "trespassing" soon after moving in. 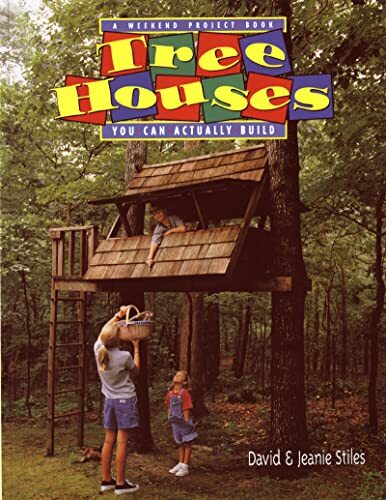 My only complaint regarding this book is that it gives short shrift to tree house zoning laws in the US. After reading this book, I would have to disagree with those who don't think it's a good book for someone building a house on a budget. Although that's not the point of Susanka's work, she wants her reader to change the way they think about homes, and to review their choices in a custom home. Trading square footage for higher quality craftsmanship is the way to go--but you can also cut out the excess square feet and use standard materials and labor and cut your cost. It's up to the builder--that's the beauty of it. She shows you how to choose and some of the possibilities, whether you're on a tight budget or have half a million to spend. I learned a lot from this book, and would recommend it to anyone who is thinking of building a home, or takes a fancy to architecture. There are wonderful pictures in here, many of which have given me ideas for my own home. Definitely worth the cost. We are just completing the construction of our new home. While this book was certainly not the only source of ideas, it was certainly critical in giving us the courage to abandon the "starter castle" mentality of soaring ceilings and the attendent wasted space. The reaction we are getting certainly bears out the strength of these design concepts. Given the content of the other reviews, I have to be clear about the intentions of this book. It is not a book about building inexpensive houses. It is written by an architect, and architects are generally not consulted when price is the ultimate consideration. It is not a book of house plans, nor a how-to book on house design. It is a book about a design philosophy which considers the house as a place to live rather than as a monument to impress ones neighbors. The philosophy is not terribly original; why does it have to be? It is a return to basic principles of good design. We began this project with a very clear idea of the style we wanted, and someone concerned with style alone might not recognize this book's influence on our home. On the other hand, anyone who compared our home to the starter castles on our block would see the difference immediately. Every room is comfortable and constructed on a human scale. I would recommend this book to anyone in the process of constructing a new home. If I had the money, I would send anonymous copies to a number of builders and designers in the area. This book deserves a wider reading. Susan Susanka presents her ideas on how to build a better home. Half way through the book she presents her trinity of compromises that the architect, builder & home-owner have to make...price, quanity & quality of the proposed home. I think this is the gem in the book. 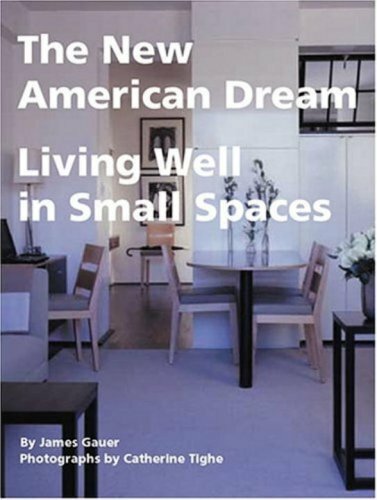 As many have noted, this is definitely not a book for a "small" or "cheap" home; and this should be obvious as nobody who is limited to building a "small" or "cheap" home would hire an architect to design it! Though she never states it, I estimate that the houses she designs cost over $500,000 to build so consider that when you read this book. I value this book for the ideas it presents; however, it is definitely a coffee-table book rather than a reference for an architect or home-builder. Not until the last two super-homes does Susan even mention a number. Nowhere in the book does it actually talk about the square feet, total price, price for materials, cost/square foot, material trade-off possibilities, building codes, or anything that is actually needed to design or build a house (or even remodel). The lack of details and thoroughness was disappointing and the reason I only gave her three stars. I suppose this book can be considered a "theory" book rather than a "practical" book, but it seems to me that a well-written book could contain both. On the plus side, the pictures were very nice; there were floor-plans for each of the houses and Susan has a very nice and clear writing style. Let's see....2000 square feet is considered "not so big." And working one's way up -- oops, I mean down! -- to that modest allotment of space requires spending at least six, more like seven figures. And, supposedly, this fits under the philosophy of "simpler living." What sort of people buy into this? Bourgeois bohemians, of course, a subspecies wittily described in "Bobos in Paradise" by David Brooks. These are people with lotsa dough who live in nice neighborhoods and drive nice cars. But they're not rich, you see. They're "progressives" (read: liberals). So, in order to assuage the subconscious guilt they suffer for the "sin" of their own affluence, they drop loads of money on expensive stuff that's no different in quality from many cheaper brands, but merely has "progressive" cachet. You know...REI and L.L. Bean clothing ("environmentally aware"), coffee that costs $12 a pound (because it's "fair trade"), and just about anything that comes out of the public radio tchotchkes catalogue. Susanka's book has kicked this up the ultimate notch. No longer is buying a high-priced Saab or Volvo the ultimate in pretense to "conscience" while indulging oneself. Now the bobos of America can take out second and third mortgages to cover what their six-figure incomes won't and build the "not so big house" of their dreams. Hey, it's not the money that's important. It's "feeling good about your choices." Susanka, Obolensky, and anyone who gave this book a good review are welcome to trade their huge houses for my one-bedroom, second-floor apartment in a working-class neighborhood with no off-street parking. They can then acquaint themselves to their hearts' desires with the reality of "modest living." As for me, I'll buy lots of cool stuff and fill up their former abodes. I've got better things to do than wring my hands over my "ecological footprint." And for my housewarming party, I'll be barbecuing up a few spotted owls, bald eagles, dolphins, and baby seals in that spacious back yard. While I agree that there are better books out there for architects and folks who actually build houses (e.g., Alexander's "A Pattern Language", and any of the Taunton Press books on homebuilding), this book succeeds in its simple explanations of why one should build "better" instead of "bigger". And probably even more important than that, there are more photos of each house than in the Taunton Press books, which allows you to get a much better feel for how these homes work. 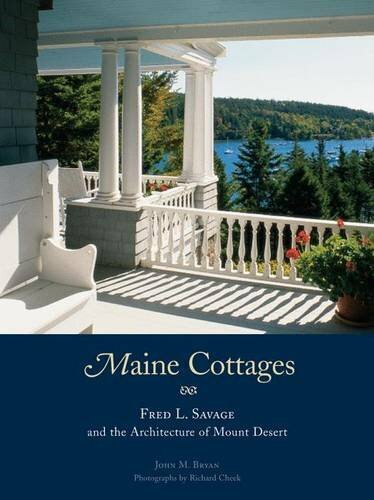 A great book for anyone who can't stand the idea of moving into one of those cookie-cutter, semi(read:ersatz)-custom, blandly and inoffensively painted, mass-produced starter mansions, with their obscenely proportioned (and aptly named) "Great Rooms" and their total lack of character. It's nice to know there is something else, and that there are still people who value quality construction and careful design. I only wish this book were required reading for whoever those yahoos are who are buying those ridiculous McMansions. Creating the Not So Big House appears at a time when it often appears that publishers have forgotten the art and science of quality editing, design and production. This is that rare type of book that reads and informs as much as it is a pleasure to leaf through, enjoying the pictures. Although it shares the beautiful photography and high quality printing characteristic of "coffee table" books, Creating the Not So Big House is organized around a few key concepts which resonate through it. These concepts can forever change the way readers approach building their next home or their next renovation. Sarah Susanka shows how "less can be more" if attention is paid to the subtle details of architecture and craftsmanship. Sarah Susanka describes dozens of detailed techniques that quality-oriented homeowners can use to avoid impersonal "trophy homes." She describes how large rooms can be made intimate through simple techniques like varying floor levels or ceiling heights. 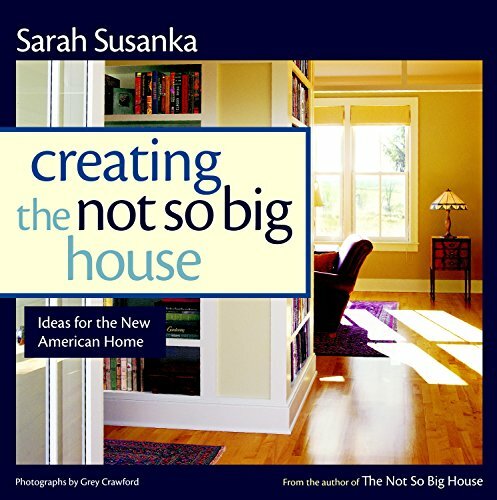 Sarah Susanka is a humanist who translates her passion for creating friendly homes into everyday language and examples. You don't have to be an architect to appreciate her message. Greatest House book, awesome stuff. This is packed with so many great ideas and principles. It'll change everything you thing you want in a house. A must read. I liked the way this book looks. It has beautiful photos in it, with a wide variation of house styles, sizes and cool solutions tailored to each homeowner/family. 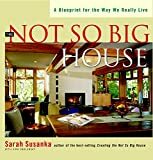 That being said, what intrigued me the most was *why* Susanka chose the houses, and what she saw in them that worked with her "Not So Big" philosophy. I have not read her original book, so none of the information was rehashed in my reading. Perhaps if I had, I wouldn't have enjoyed this book so much. However, I suspect that "Creating the Not So Big House" offers more in the way of practical application of the theory and is therefore valuable on its own. I also figure that since it shows personal interpretations of Susanka's original thoughts on homebuilding, it offers a different "flavor" of the same basic idea. An OK book, but WAY below the par of "The Not So Big House"
This is a good book. Unfortunately, it's a follow-on to an EXCELLENT book ("The Not So Big House"), and fares poorly by comparison. As this later volume is sold as a companion book in collection with the original, it's entirely fair to take this comparison into account. 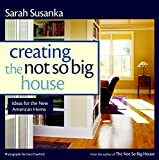 So what's wrong with "Creating the Not So Big House"? It comes down to the writing, the photos, the editing, and the content. To be clear, none of these four areas are terrible -- but the first book hit high marks in all respects. So I'll go through each in turn. Sarah Susanka is by training an architect rather than an author. The text shows the lack of a professional writer, for example, in excessive use of commas, separating both dependent and independent clauses, resulting in choppy sentences, just like this one. (A real quote: "By adding the new area as a separate structure, connected to the old house by a flat-roofed section, the existing roof could remain untouched, which was a major money saver.") It is clear that freelance writer Kira Obolensky made valuable contributions to the original "The Not So Big House". This volume and "The Not So Big House" have the same format: 10" x 10" square, with photographs pushing to all four page edges at times. Most photos in the first book are at least 1/4 page in size (25 square inches); about 20% (or over 40 of the 200+) in "Creating the Not So Big House" are under 6 square inches, and in many cases they're just too small to be worthwhile. An example from page 129: "A spacious pantry serves the same function as cupboards" -- but the size of the photo renders this "spacious" pantry only 5/32" across. Their size apart, the photographs by Grey Crawford are well composed, with excellent contrast and color depth. It's unfortunate that Susanka had to rely on photos from other architects for some projects. "Photo courtesy Jacobson Silverstein Winslow" generally labels the disappointments. Moving along to the editing: I REALLY miss the first book's use of orientation arrows matching the photos to the plans. With the frequent small size, as noted above, it's often difficult to match the two. Also, the layout editing is weak. The book features numerous oversized box quotes in the margins. These sentences are all in the text anyway, and repeating them just takes away from space that would be MUCH better used for larger photographs. This technique of spotlighting key sentences is an editorial gimmick to get people to read an article as they're flipping through a magazine. In a book rather than a periodical it's purely annoying. Naturally, the original "The Not So Big House" doesn't have this fault; it reserves large margin text for quotes from the likes of Frank Lloyd Wright. It's gospel that you sell houses at daytime, with all the interior lights turned on. This theme is carried to extreme in "Creating the Not So Big House". Only 5 (out of well over 200) interior photographs are shot without daylight. (The first book had 13 nighttime photos out of a smaller total.) Doesn't Susanka realize that many of us see our houses primarily at night? If she's serious about DESIGNING for the way we really live, how about SHOWING it the way we live? Finally, there are relatively few new design concepts compared to the first book. 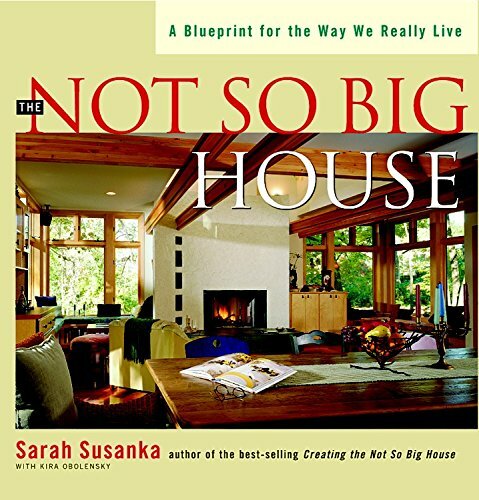 In "The Not So Big House" Susanka discussed the value of substantial trim around doors and windows, built-ins, an "away" room, double-duty spaces, varying ceiling heights, acoustical privacy, and at least a dozen other design thoughts that aren't commonly preached to the home-buying public. "Creating the Not So Big House" only adds a smattering of new ideas: a pod of space, themes and variations, spatial layering, and golden mean proportioning. I bought this early on in the planning stage of our log cabin as a resouce. After looking through dozens of books and magazines I actually used one of the plans in the book after modifying it slightly. This has many plans that give you some great ideas and has enough difference between them to be a nice starting point in the design process. This book features high-quality, full-color pictures that will help you identify features that you are looking for in your log home. It also includes a introductory overview of log home building. Do not expect an explanation of the building process! This is not a construction/contracting manual or a technical plan book, instead it is an exceptional "idea" book. 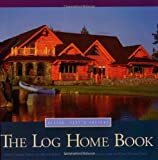 This is not the only log home book you will ever need, but it is one that will be very helpful during the beginning stages of planning a log home. It was an excellent gift for a future log home builder. I bought this book for my parents because they recently bought land to build a log house. There were many books to choose from but this one was definitely a hit with them. It has great pictures and excellent blueprint type plans. Even if you don't do exactly what the book says, it's a wonderful resource for general ideas. A superb gift for any present or future log home owners. Great ideas and insights from a real expert. 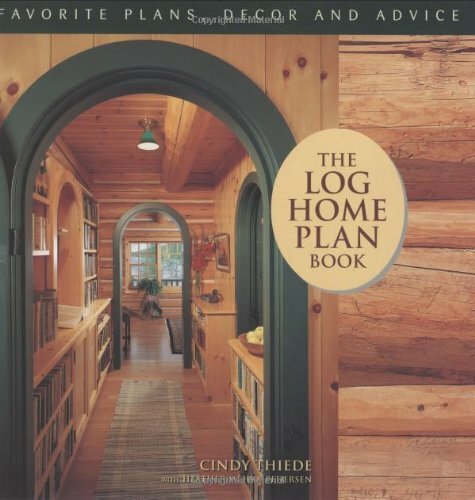 Cindy Thiede has written many log home books. "The Log Home Plan Book," is a real winner as it is full of information from log home oweners/builders/designers, that may not be apparent for the novice. I've been looking for a book like this for ages. There are lots of great looking design books, very few offer real help. I found this book to be excellently organized with in-depth information on every aspect of kitchen and bathroom design. The writing is intelligent, without being overly technical, and good-humored while also giving practical solutions to a variety of design and structural challenges. The photography, which as another reviewer pointed out, could stand alone as being quite beautiful, is very specific in terms of what is depicted as referencing the subject matter in the respective chapters and sections. Another reviewer pointed out that the photography is redundant to what appears in the log magazines on the newsstands. I think that is untrue. I'm an avid reader of log magazines, and have been for a good number of years, and do not see any repetition at all. These photographs are certainly new to my eyes and are of the highest quality. I find it remarkable that with so many books on kitchens and myriad publications on cabins, this is the first time that the two subjects have been combined in one volume. And, what an effective volume it is. On a personal point of view, as a lover of great interiors and with a nice little library of good design books, this one has great pipe dream potential and one of these days I might even use some of the ideas in re-doing my own kitchen and bathroom. If you subscribe to, or even buy some of the log cabin magazines from the news stand, this book is a repeat for the most part. Most of the pictures have already been published over and over again. If you haven't gotten any log or timber home magazines lately this is a good book. Although, I liked Inside Log Homes: The Art and Spirit of Home Decor much better. This book delivers far more than it promises. First and foremost, it is a chatty but practical and lavishly - illustrated guide designed to lead a cabin or homeowner through the process of designing what most of us would consider the two most difficult and important rooms in our residence. The Schmidts do this by a readable text, made more useful by including opinions from numerous professionals involved in cabin design from soup to nuts. The book...which obviously could be used to design kitchens and baths in any kind of residence...includes helpful check lists to prepare one thoroughly from design to installation. 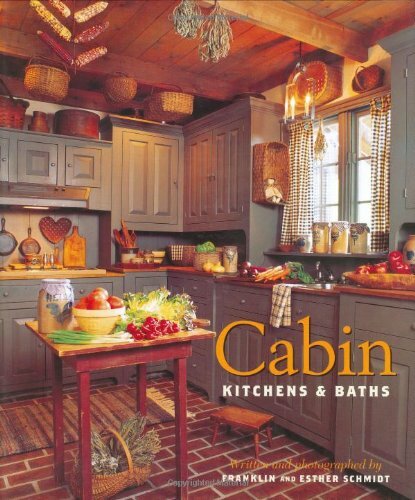 CABIN KITCHENS AND BATHS is also a wonderful "coffee table" book for post and beam and log residences. My library holdings include numerous volumes of books whose last name is "STYLE"......"Greek Style"," Japanese Style", etc, and I often reread them for the simple pleasure of it. The lavish color photography makes this book infinitely more attractive. They say you can't judge a Book by it's Cover, but I did. along with a vintage candolier drew me in. Vintage with new,and some with more vintage style. designers left their mark in the rooms. pleasure.It helps me to relax. that seem to be making a comeback.Hoorah! usually associated with the words flea market. 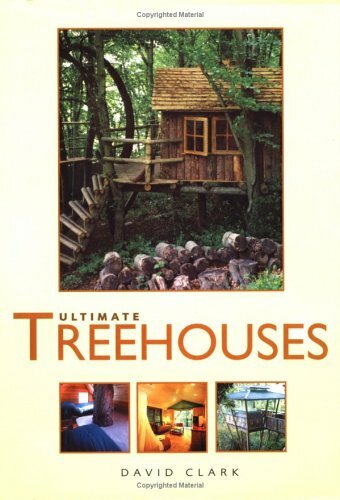 The book I recieved is Ultimate Treehouses by David Clark, but it doesn't look like the one pictured. That photo is not in this copy, and the print quality is rather low on mine. 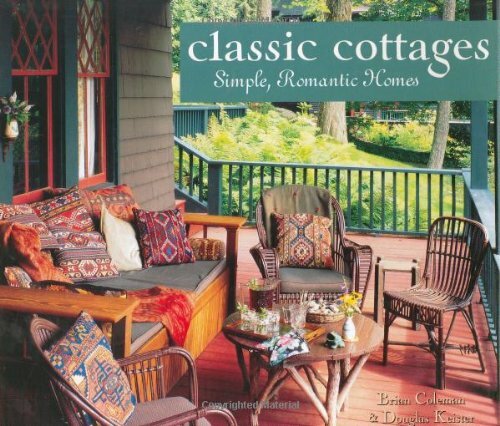 Romantic and picturesque, the word "cottage" brings to mind the idyllic charms of the countryside. Who can resist the appeal of a sweet little house, surrounded by wild roses, at the end of a winding cobblestone lane?From Anne Hathaway's cottage, which became synonymous with the innocent charm of the English countryside, to the sturdy Cape Cod, the first cottage indigenous to the United States, Classic Cottages: Simple, Romantic Homes looks at the architecture, history, design, and decorating possibilities of the many charming cottages throughout North America. From rolling bungalows to quaint thatched stone huts to nineteenth-century gingerbread gems, cottages in all forms are being rediscovered in record numbers as people yearn for inspiring and appealing housing.Classic Cottages: Simple, Romantic Homes celebrates the delightful cottage home with the renowned photography of Doug Keister, the insightful and enlightening text of Brian Coleman, and an abundance of historical and cultural information about the charming cottage. Brian Coleman, M.D., is a practicing psychiatrist in Seattle, Washington.As an old-house enthusiast, he has written numerous articles on historic home design for magazines ranging from Old House Journal to Period Living in the United Kingdom and is the West Coast editor for Old House Interiors. Brian wrote two previous books, Vintage Victorian Textiles and The Victorian Dining Room. He divides his time between New York and Seattle. With a focus on architecture and details, rustic expert and author Ralph Kylloe introduces creative rustic designs that are inspiring a revival of cabin craftsmanship in his newest book, Rustic Cabin Renaissance. The book features log homes that are newly built, but that are steeped in regional history as well as the log-building history of the Scandinavian settlers and mountain men from centuries past. Kylloe provides photographic details of the highest-quality workmanship in stone masonry and log work, highlighting the unique blend of fine antiques and contemporary furnishings that these homes exhibit.Arts & Crafts, Scandinavian, and Western legacies in furniture building and interior styling make each room a smorgasbord for the eyes, and a dream come true for lovers of rustic décor. Rustic Cabin Renaissance features homes that are rich in vision, beauty and warmth-photographed as only Ralph Kylloe can photograph them. I am so thankful and excited that I found the Log Construction Manual by Robert W. Chambers. I have many other books on the same subject and have always wanted to learn the craft by self study, but I have not been impressed with any book until now. Robert Chambers is perhaps the world's best, a master, of full- scribe log construction to date! It is refreshing to read something that broke through the old ways of log building that have been used and practised for a hundred years. Mr. Chambers is an inspiration and I feel so confident from learning from his book that I will now build the best log cabin I could have ever hoped for. Thank you so much, Robert. I will be forever grateful that you shared your wisdom and great knowledge through your book, it is a treasure! I have been interested in handcrafted log building for a long time. I bought many books on the subject, trying to teach myself the craft. They all lacked info needed by the novice. I could have saved myself alot of time and money! This is the book I was looking for! detailed, straight forward, understandable descriptions of each step... Clear, inside information about a complicated building process. I'm confident now to practice and perfect my technique and hopefully build a log structure on some land I recently purchased. After searching fruitlessly for a competent text on log building construction, I had nearly given up. By chance, I stumbled upon "Log Construction Manual" by Robert Wood Chambers at Amazon. I made the purchase, read the information and felt compelled to write a review. Chambers takes the complex craft of fully scribed log construction and explains through diagrams, photos, techniques, and formulas how to successfully construct a log building. 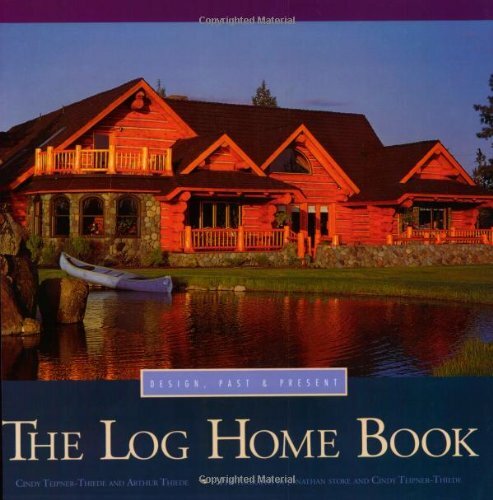 Truly a comprehensive textbook, a must for anyone planning to build a log home or cabin. Also included in this book is a chapter on log building tools, some conventional, some unique to log construction, and places to purchase tools; resources, such as book and magazine reviews, log building schools and workshops, design and engineering contacts. I have been reading everything I can find about log homes. Most of the books I have read are more like an information text book. Lots of facts but boring. Logs Wind and Sun gives you the facts and how to use them along with a very enjoyable story of the trials and tribulations the authors encountered building there own log home. This gives you a much better idea of what to expect building your own log home from scrath or from a kit. The detailed information on solar and wind energy is a real eye opener. It opened up a whole new possibility of finding what my wife and I want in a piece of land to build our retirement log home on. We thought that land with no power was out of the question. Now we know that is exactly what we want. With this book you have nearly all the information you need to build a self sufficient log home. 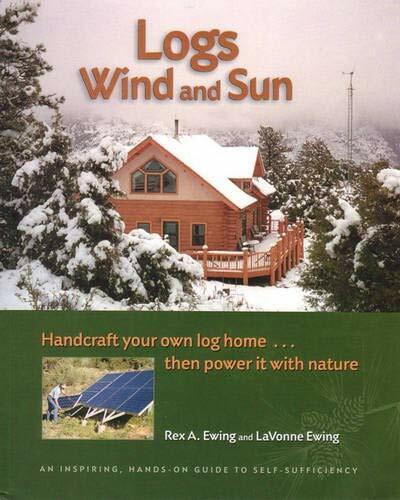 If your dream is to have a log home in the mountains far from the "rat race", Logs Wind and Sun is a must have book. Live your dreams! Interesting, informative and easy to read! When I started reading Logs Wind and Sun, I imagined I would skim the more detailed parts about construction since I don't plan to build a log home. I bought the book because I was interested in solar and wind generated electricity. But in the end, I read everything. Whenever I tried to skim, I soon came across something that caught my interest and, before I realized it, I was totally entranced with the story. The framed inserts break up the flow of the text and add little tid bits of information just when some variety is necessary. Rex's Maxims and LaVonne's Verities are a novel way of introducing light humor while at the same time making an important point. The illustrations were very concise, attractive and easily understandable. The photography was out of this world and the photos very appropriately located within the text. Every photo enhanced the message on the page where it was found. Logs Wind and Sun is clearly a product of team work, the story of a couple who, working together, accomplished their dream. I loved it, and also learned what I wanted to know about solar and wind power. It seems that almost everyone likes treehouses. Smiles of recognition turn into grins of enthusiasm as more people discover them and dream about making their own private retreats or family play spaces. And it's nice to remind ourselves that treehouses are built into the oldest and most forgiving, living things on earth. Also, history records treehouses as being built as deliberate follies, as challenges forarboreal designers, for merrymaking, and for keeping the spirit of fairy tales alive. But treehouses can also be social places. We will visit many that were built to entertain, to hang out with friends, or as guest houses. Trees welcome all types. Master treehouse builders Peter and Judy Nelson, with David Larkin, have embarked on yet another treehouse-discovery expedition across America, this time adding the investigation of backyard playhouses to their agenda. Now, in The Treehouse Book, they reveal their findings, illustrated and described in the most complete volume yet. From casual treeshacks made from discarded lumber to multitiered feats of fancy, they found shelters representingmyriad builders-interesting characters ranging from childhood fanatics grown up, to weekend carpenters, to those who want their grandkids to have the best clubhouse on the block. a question for "A reader from NY"
WHO SAYS TREEHOUSES ARE JUST FOR CHILDREN! What a delightful book filled with mystical wonder and beautiful photography. 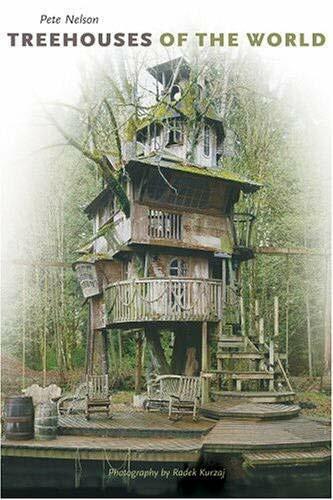 We generally associate treehouses with children and the exuberance of youth, but....I want one! My own space, a private place to recapture lost youth, a place to dream, recollect thoughts, be at one with the stars and the universe - how magical life could be. There is no question my talented husband could build one; though not a professional, he truly is talented at that sort of thing as a hobby. But, there is a chance I would appear in the backyard on a bright summer's morn, only to hear him exclaim, "Treehouse? You wanted a treehouse? I thought you said "birdhouse," and then I do have a problem because how would I ever fit through that that tiny little round hole in the centre? Even if he did get the plans right, there is also the off-chance my family would insist on building a safety net around the treehouse, just in case dear old granny fell OUT of her tree! Possibly, they would insist the resident counsellor also have her own "branches checked out," just in case she was missing a few twigs off the upper branch. Well, whether you are simply dreaming or actually making a treehouse a reality, this is a wonderful book filled with beautiful photography and treehouses galore of every description. The authors have put extensive research into this intriguing and attractive book, so if you are fascinated by treehouses, this is a book you are sure to enjoy. I have read every one of Peter Nelson's books, and he is not only a beautiful writer, but also a gifted craftsman. If you want to dream about living in the trees or even make it a reality...each of these books will give you a wonder-filled ride through the pages as well as technical information and all the motivation you might need to build your own. The stories and photographs are breath taking and alive. I have been lucky enough to witness Peter Nelson's craftsmanship in person, but it also comes alive through the pages of all three of his books. Go buy each one of the books right away and see for yourself the wonder of "living out on a limb". Fantastic! This book might look good on a coffee table, but that's about all. It gives little information on how to build treehouses and lacks the genearal knowledge of other treehouse authors. 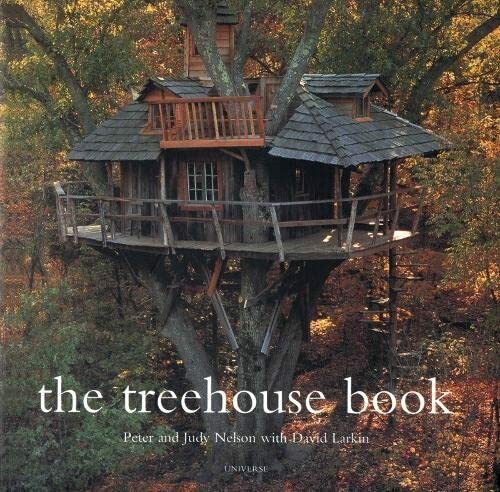 If you want the best book on treehouses, check-out the original, The Treehouse Book, by David Stiles. His book gives detailed designs on how to build many different treehouses and helps you decide which one is best for you. Mr Stiles has written on the subject for over thirty years and has published several other books on treehouses, including, Tree Houses You Can Actually Build. These books enlighten and inform, rather than just visually stimulate. Anyone interested in learning about or building a treehouse would do well to pass on this book and go straight to the source--Mr Stiles--the treehouse guru. 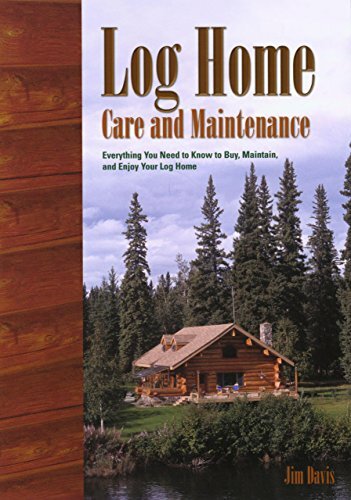 A comprehensive guide to log home maintenance for the homeowner. I live in a treehouse (corbin's treehouse), and I used a lot of techniques in this book when building my house. excellent book, and highly reccomended. 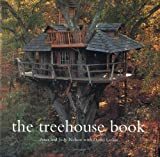 FABULOUS BOOK FOR THE BEGINNER WHO IS LOOKING FOR THE STEP BY STEP INSTRUCTIONS ON "HOW TO BUILD A TREEHOUSE"- IT EVEN TELLS YOU HOW TO PICK THE PERFECT TREE. A MUST HAVE FOR ANYONE THINKING OF TAKING ON THIS KIND OF PROJECT!!!! This is a book to read before you even decide what type of structure you want to build. This book is not a book of plans or a quick-read instruction manual of how to build tree houses. This is a serious book about the most important part of the process: the planning. Nelson begs us to realize that first we must select the tree(s) and that the characteristics of the tree(s) will dictate what size and type of structure can be built. Nelson includes information about which trees are best suited for building in, taking their strength and growing characteristics. This is great information to know, and something I think my tree landscaping books don't include. We learn that the growth of some trees will actually crush the structure over time, while others are too weak to safely hold up a structure, let alone one with people inside it. The key element in this book is safety. Nelson gives detailed information about how to build a structure that is safe to inhabit, whether it is a playhouse for children or an actual house for adults to use to work or live in. I was surprised to see that some of the tree houses in the book are for actually living in and working in! Several different methods to attach the structure to the tree are outlined in detail. Exactly what type and how many tree "attachments" to use is explained, such as too many direct nailings into the tree will kill it. I think this information is key. Looking at the plans for the tree houses in the book, I realized the quality of the workmanship surpasses houses that I have lived in. These are not quick slap-up tree houses, not the type where you use scrap wood that you have lying around. The houses featured have fine edgings, safe banisters and ladders for climbing, beautiful doors and windows. Some have balconies! Anyone considering building a tree house should read this book first lest they waste their time building a tree house that later kills the tree, ends up being not-secure, or is flat out unsafe for people to use. As a non-carpenter, frankly I am feeling intimidated and doubt I have trees on my property that are worthy! Hard to read. It only has a couple of different designs for treehouses. This is for an experienced builder. A stunning capture ofthe country's most beautiful log homes. 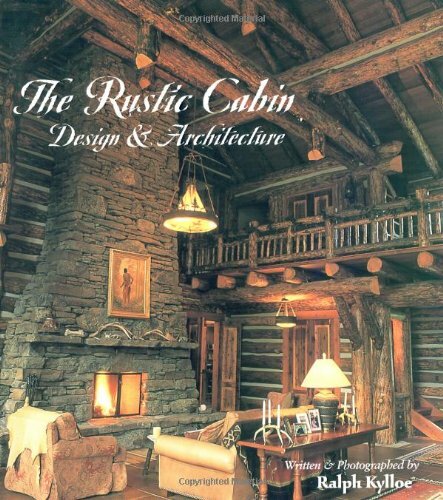 Cindy and Art Thiede have captured a fantastic portrait of the finest, most creative and unusual log homes across the nation in this compilation of beautiful photographs and informative, stimulating text. This great reference book conforms with all types of decorating styles while maintaining code regulations, written in a style that is easily understood by the professional or non-professional. It is an invaluable aid to those planning a new log home or remodeling an older one. Thanks to a previous reviewer, M. Pass, I bought this and also bought a book called Second Home. Both are great. 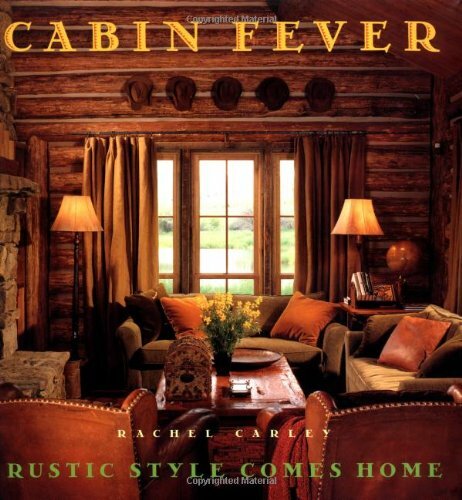 This Cabin Fever book is limited to homes that are a bit more rustic than what we had in mind, but we still love it. Second Home also is a gorgeous dream book but it has a wider variety of home and decorating styles. Second Home also has given us a lot of information on how to shop for a retreat, how to decide what location is best for us, as well as tips on decorating and building. Second Home approaches the topic from a broader perspective. 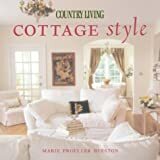 My favorite book related to vacation home style is Cottage Style, and I wrote a review of that book on amazon awhile back. This Cabin Fever book is a bit narrower in scope, but I am enjoying all the photos. Because I love Better Homes and Gardens Cottage Style, I just bought the new BH&G book called Second Home, which shows one great house after another. I'm getting lots of decorating ideas from those homes. But Second Home also has great information on real estate shopping, home design, and decorating, too. It's my kind of book, because it's a dream book that also helps me do something to achieve the dream. I have been searching for books for months now that would give me real life examples of cabin type homes to use in designing my country home. While there are a lot of books out there on small cabins, I was looking for a book that showed examples that I could incorporate into a larger home. This book is exactly what I was looking for! The photographs are beautiful and truly capture some of the key elements that make these homes special. The author has managed to find some of the best examples out there of truly beautiful, well designed log/natural material homes. In addition to the photographs, the narative is also quite entertaining. It helps the reader understand some of the thinking that went into the creation of these great spaces. If you are looking for a very enjoyable book with wonderful pictures of a vast collection of cabins (both small and large), then this is the book you have been looking for! I know it was for me; I already have dozens of ideas that I plan on incorporating into my, not so small, cabin. Enjoy! 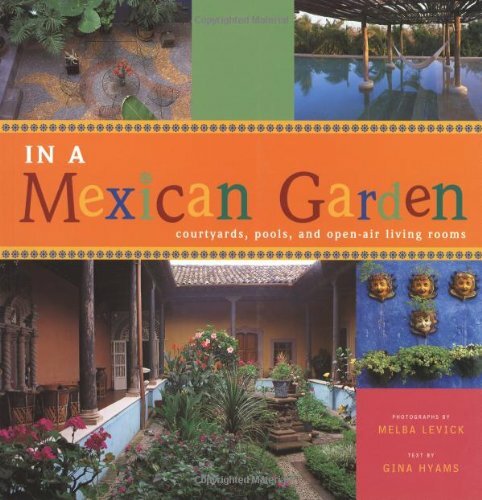 Excellent book with great pirctures of rustic rooms and homes. Great decorating ideas!